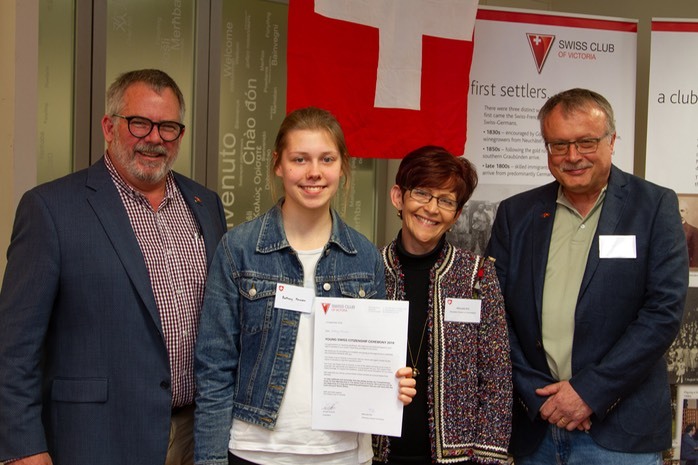 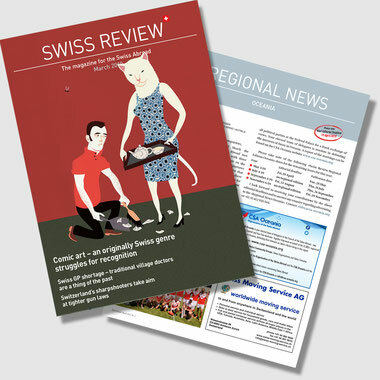 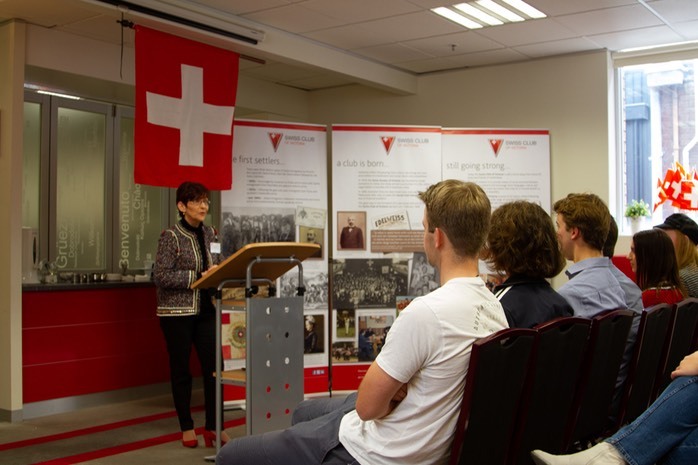 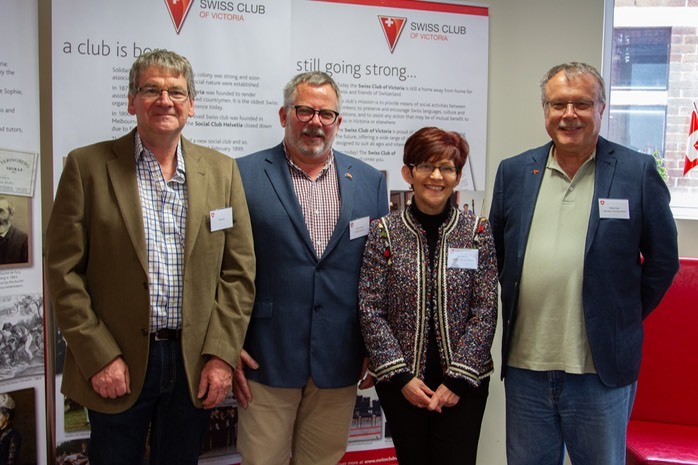 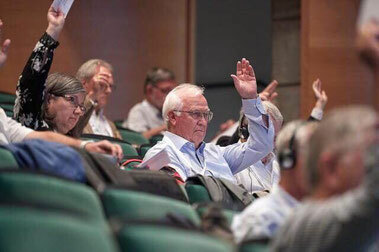 The afternoon, which was co-hosted by the President of the Swiss Club, Arnold Kramer and local Member of the Council of the Swiss Abroad, Roland Isler, was not only to celebrate an important milestone for the young Swiss citizens, but also presented an opportunity to introduce them to the Swiss Club and the Organisation of the Swiss Abroad (OSA) and provide them and their families with important information about Switzerland. 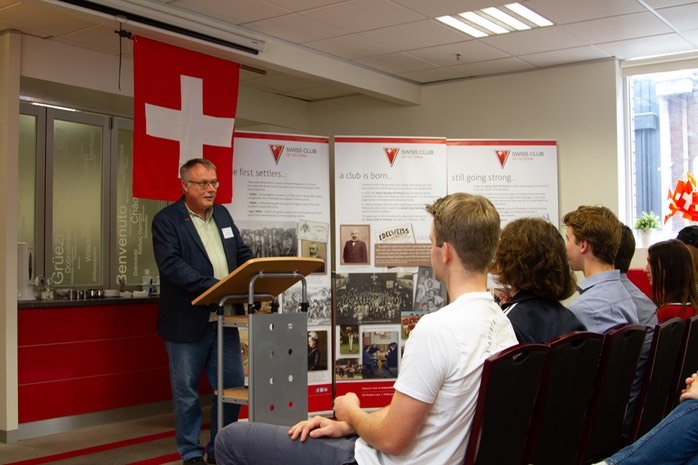 Roland spoke of the training and education opportunities in Switzerland and encouraged them to explore the holiday and language programs for young people offered by the OSA. 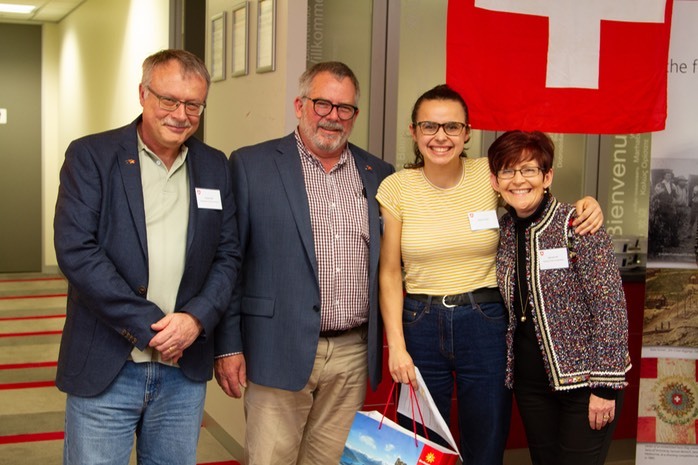 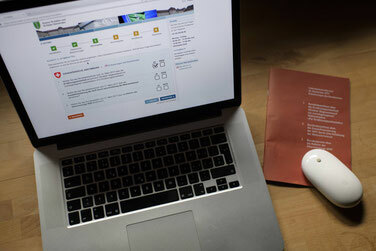 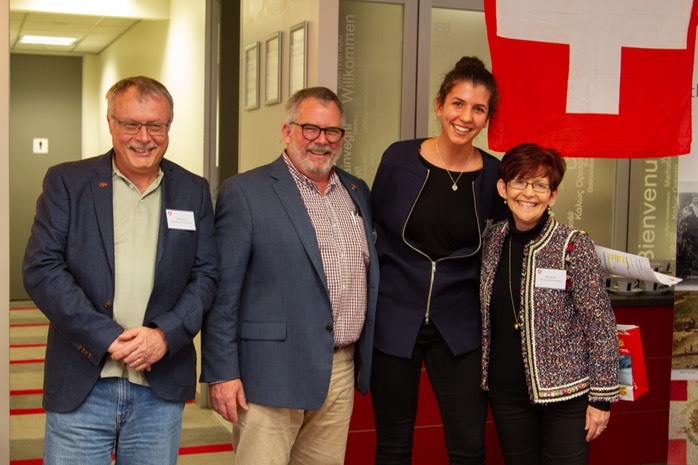 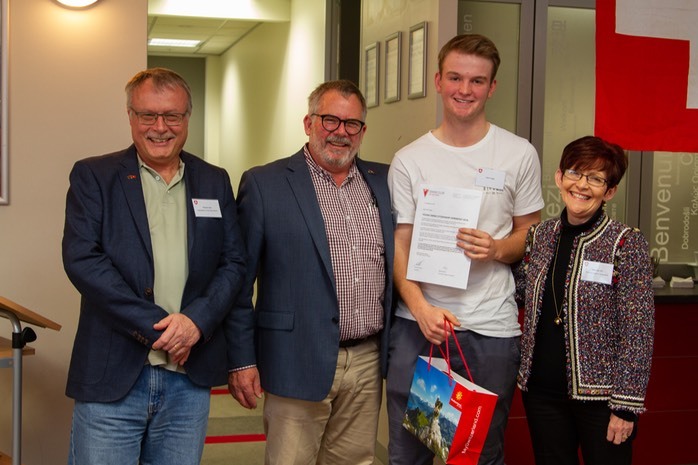 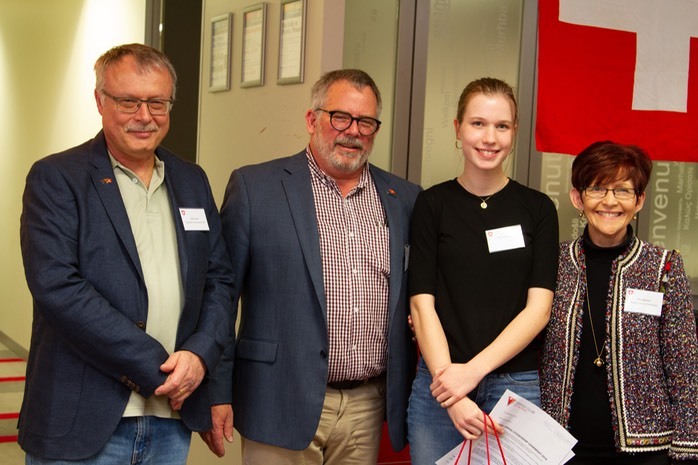 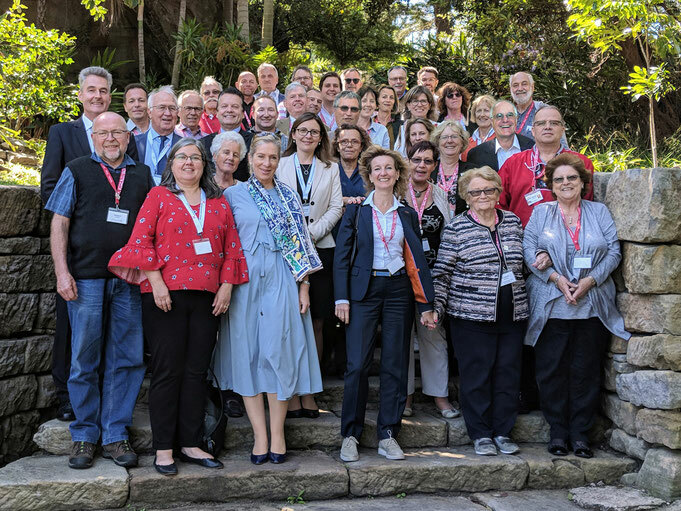 The Swiss Club of Victoria gave each a complimentary 3-year club membership and an engraved Swiss army knife that was added to the generous bags of Swiss goodies Manuela had prepared for everyone. 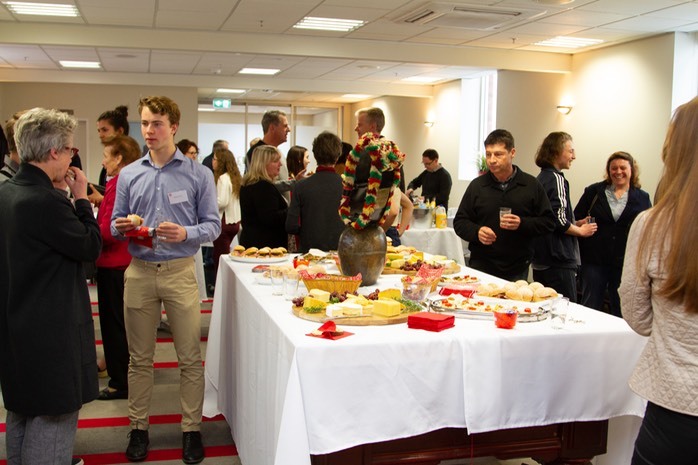 The delicious catering, organised by Peter and Michael Erb, was simply superb and added greatly to the success of this afternoon. 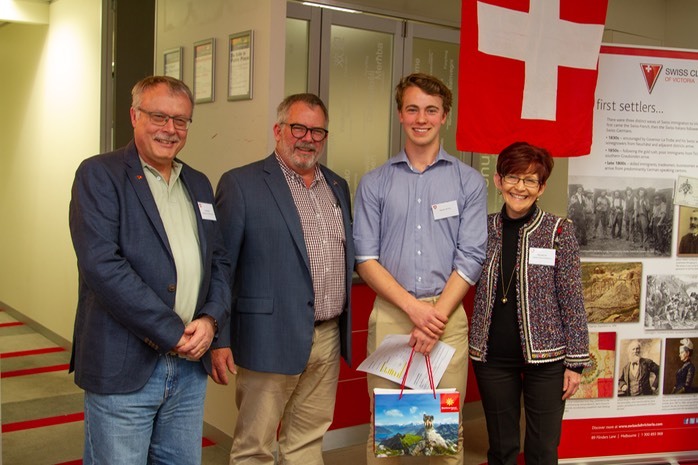 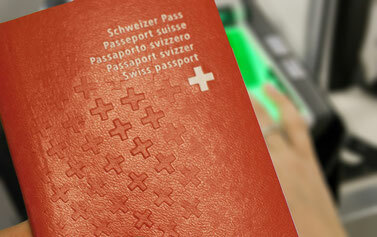 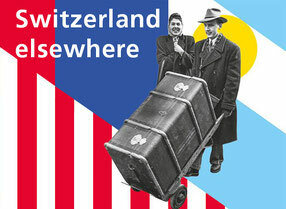 It was indeed an outstanding event where everyone was made to feel very special and proud of their Swiss heritage. 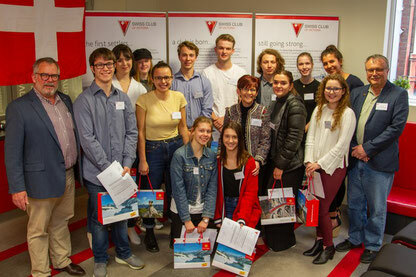 Reaching out to recognise and celebrate the young adults in this way, was very much appreciated by them and their families and has undoubtedly made a positive and lasting impression.